Deus Ex Human Revolution is an all new science fiction adventure game that has taken the world by storm since it was first released and after playing many hours on it I can see just why. The game has a brilliant story line and a really good concept and this coupled with the innovative game play system and jaw dropping graphics make this one of the hottest games of the year for me. 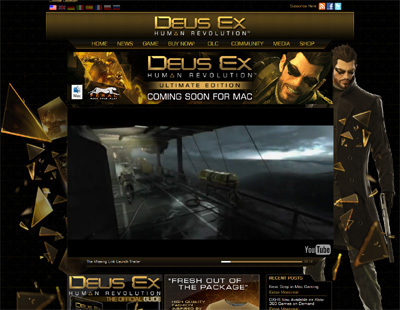 We have also compiled a Review System for this, of which Deus Ex Human Revolution is Rated as Five Stars, the highest possible score available from the Game Review Team.